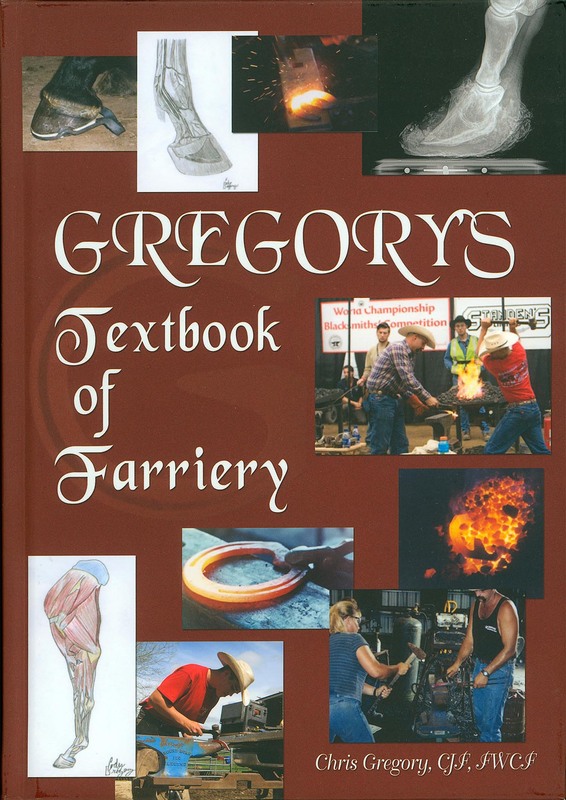 Gregory's Textbook of Farriery is the knowledge put to paper of one of the farrier industry's most durable educators. This textbook was written as a teaching tool, so it is ideal for any course on farriery, equine husbandry, veterinary school, or even the one-on-one apprenticeship situation. Created by a skilled farrier instructor, this book is like having Chris right next to you, guiding your hands and looking over your shoulder. Whether you are a veteran of the farrier profession, a novice, or just an interested horseman, this book should be part of your library. You will find yourself referring to it over and over. "Keep working with the horse. It is important to maintain your composure. Do not lose your temper. I know. This is a hard one, and every one of us has our moments when it is just too much, and we get mad at the horse. Try and remember that you should never get mad at a horse for being a horse. That is how God made them, and if you are going to work on and with them, you will have to accept it.. Getting mad is apt to get you or the horse hurt, and later on you may regret it, either way." Many of the chapters in this book begin with a Bible verse, something I don't remember seeing before in any horseshoeing text. Chapter 7 - General Principles of Farriery begins with Psalm 20:7 "Some trust in chariots and some in horses, but we trust in the name of the LORD our God."